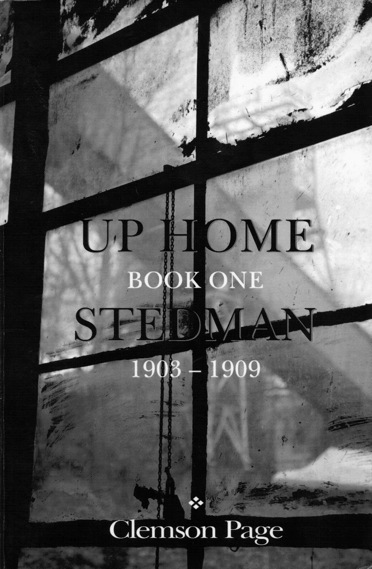 Windstorm Publishing* and author Clemson Page have come together to bring us a riveting account of life in a mining town at the turn of the 20th century. The title indicates there is more to the story than is found in this book; but this story of Owen David Gwynn’s youth is a window into the hardships suffered by families in this harsh environment. We meet him as he is fighting off the demons of war, only to be drawn back to equally traumatic memories of his youth and life after his father was killed in a mining accident. Known as Davey in his youth, he was a mere fourth grader when his father was killed. Because the family lived in a house owned by the mining company, his mother was faced with a decision between losing their home and having Davey join the other breaker boys at the mine. With nowhere else to go, Mary Gwynn was forced to send Davey to the mines. This story takes us through Davey’s transition from innocent school boy to teenage mine worker. His concerns about how he thinks things should be run for the breaker boys cause him to clash with the company authorities. He’s then moved down the shaft, into the darkness of the mines. The author’s skill in telling the story of Davey’s training after this change makes you feel as though you are by his side in the tunnels. As I continued to read, the old Tennessee Ernie Ford song “Sixteen Tons” often popped into my mind. The company store in this town was run by a man who took pleasure in tormenting Davey. He is merciless as his teasing touches on Davey’s lack of a father, his troubles at the mine and more. You won’t want to miss a word of this intriguing story. Sharing these six years of Davey’s life will leave you wanting more, so be sure to watch the for the release of Clem Page’s next book, Up Home, Mauch Chunk, 1910-1914. *Windstorm Publishing has changed its name to Orchard House Press. Karl Grossman’s Cover Up: What You Are Not Supposed to Know About Nuclear Power was a big seller for The Permanent Press when it was originally released in 1980 and also when a second edition came out in 1982. With recent uncertainty surrounding the safety not only of the nuclear reactors at the Fukushima Daiichi Nuclear Power Station but of nuclear power in general, Grossman’s book is as important as ever, and The Permanent Press is issuing a third, updated, edition free of charge for anyone interested in downloading a copy. In the words of publisher Martin Shepard: “We’re not interested in making a nickel off Cover Up. Let William Morrow, an imprint of HarperCollins, make a profit from 20-year-old Bristol Palin’s ghost written Not Afraid of Life due out this summer. Our passion in publishing has always been the good feeling that comes from doing worthy books, which trumps profits any time.” Click here to download a free copy. In this incredibly imaginative debut novel, Tommy Zurhellen fills the literary void between Jonathan Goldstein’s Ladies and Gentlemen, The Bible (which presents a new take on the Old Testament) and the Left Behind series (which takes on the Book of Revelation and the tribulations contained therein) with a fresh look at the story of Christ. This time around, however, Christ is raised in a small town in North Dakota, and his name is Sam. What’s more, an elephant has escaped from a traveling circus, the town’s corrupt sheriff has just passed away, and a young rabble-rouser named Jan is making trouble on the banks of the Little Missouri with talk of the imminent arrival of a prophet. *By which I mean the author. Coincidentally, the press that’s responsible for Nazareth, North Dakota, Atticus Books, is also a promising new voice in literature. Check them out at their website! 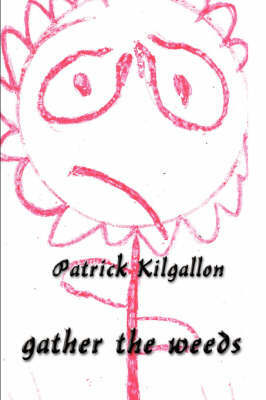 Patrick Kilgallon’s Gather the Weeds is a significant novel in many ways. Set in a dystopian future, the narrative follows the efforts of protagonist Michael Poole to keep his head above water in a kind of relocation camp for people with disabilities known only as The Gate. In some ways, then, the novel is reminiscent of such sci-fi fare as Logan’s Run and THX1138, in which repressive closed societies offer their protagonists a natural obstacle (or increasingly treacherous set of obstacles) to overcome. Indeed, George Orwell’s 1984 likely serves as a significant touchstone for this novel. What sets it apart from others like it — and from the recent spate of young-adult novels like The Giver and Hunger Games in which youthful protagonists struggle to survive amidst the retched and repressive social conditions of not-too-distant futures — is that the narrator is deaf. Here lies the greatest challenge that Kilgallon, who is himself deaf, faces: he must convey the experience of deafness to the non-deaf. While this is certainly no easy task, the author pulls it off with admirable skill and to highly convincing ends. Basically what Kilgallon does throughout the novel is place the reader in the (at least initially) uncomfortable position of not only trying to figure out what kind of world the narrator lives in, but of doing so through the relatively unfamiliar filter of the narrator’s perceptions. 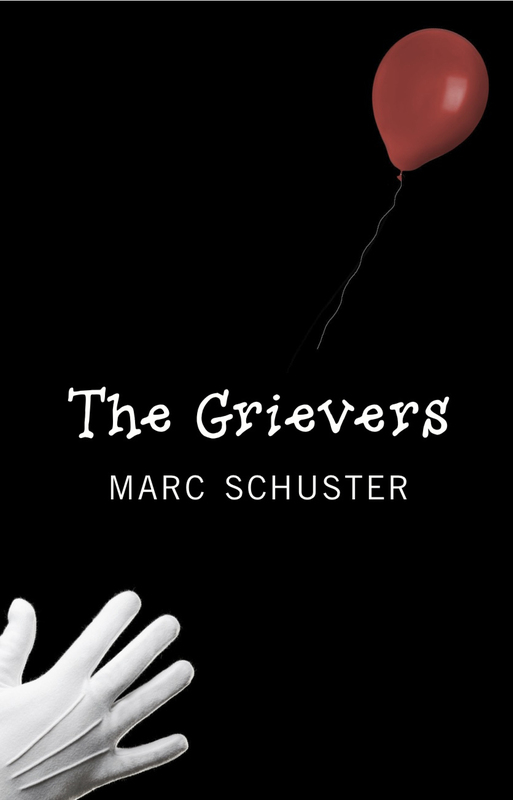 Needless to say, the fact that the narrator is deaf skews his perceptions in a direction that most readers might not normally consider, and we must work to compensate for our lack of familiarity with the narrator’s world. To put it more plainly, Kilgallon helps us to understand what it is like to be “the other” (in this case, a young deaf person) by placing us directly in “the other’s” head. That he manages to do so while telling an engaging story and creating a finely-tuned, believable universe is a testament not just to his skill as a storyteller but to his craftsmanship with the raw material of language. Though Gather the Weeds can be a difficult read at times, it’s well worth the effort. The mind says: Releasing The Orange Suitcase on the heels of Do Something Do Something Do Something is a smart move on the part of author Joseph Riippi and his publisher Ampersand Books. 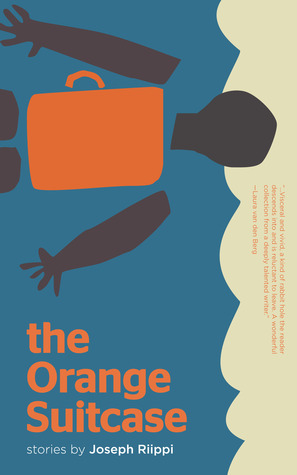 Where Do Something introduced us to an author adept at plumbing the depths of the human heart in long, flowing, stream-of-consciousness paragraphs, The Orange Suitcase gives us a new perspective from which to triangulate the author’s raison d’etre. In this volume of ultra-short “somethings” (as Riippi calls them), we discover an author who is as comfortable exploding the details of a moment or a memory in the space of a few-hundred well-chosen words as he was exploring the inner turmoil of the lonely denizens of 21st cetury America in his previous outing. Additionally, the whimsy of some passages in The Orange Suitcase serves as a nice counterbalance to inherent gravitas of Do Something. Yet while The Orange Suitcase sees Riippi perhaps having a little more fun with both language and his subject matter than he did in Do Something, it is, nonetheless, a serious volume, touching as it does on topics like aging, death, and the passage of time (among many others). To put it another way, The Orange Suitcase offers a healthy balance of exuberance and sincerity, and, more to the point, demonstrates that the two qualities aren’t mutually exclusive. The heart says: I want to take these short pieces — these “somethings” as the author calls them — and plaster them all over my quiet suburban town: staple them to tree trunks and telephone poles, stuff them in mailboxes, trap them beneath the windshield wipers of strangers’ cars. I want to share the work of Joseph Riippi with the world, want to show the world what writing can do, what writers can do, how well-wrought prose can make good neighbors of us all. And I want to believe the world will read his words and be changed in some way, to be moved enough to say yes to life, to love, to change, to all he has to share about all we have to share. With the rumored apocalypse looming somewhere in 2012 (not to mention the almost willful and continuous damage our species has been inflicting over the past half-century on the only planet we have at our disposal! ), the literary world has seen a spate of works depicting variations on the end times. Zombies, of course, are big, as evidenced by the recent popularity of The Walking Dead in both comic book and TV form, and epic struggles for survival in the wake of global disaster a la Cormac McCarthy’s The Road are also in vogue lately. Joining the fray — albeit reluctantly and perhaps more artfully — is Blake Butler’s collection of post-apocalyptic short fiction Scorch Atlas. 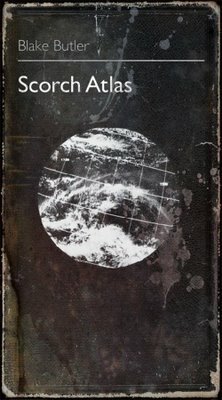 While Scorch Atlas bears superficial resemblance to a lot of recent titles depicting the end of the world, what sets it apart is the intimate scope of Butler’s narratives. We’re not seeing humanity’s epic struggle to survive despite some horrendous global fate in this book. Rather, we’re witnessing individual human moments, watching almost voyeuristically as children struggle to make sense of their suddenly damaged world and parents do their best to hold everything together. In one story, for example, Butler depicts the life of the first student stricken with the disease that will eventually quarantine the entire school. In another, he gives us a mother who watches with horror as the dehumanizing nature of life without hope swiftly changes her otherwise gentle children into savages. Throughout the book, Butler’s focus is on the domesitc (as opposed to the global). As such, it’s all the more chilling. 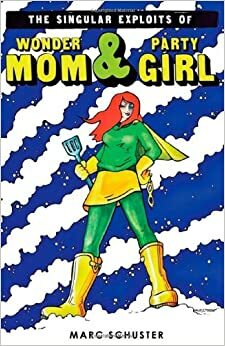 Of course, due consideration should also be given to the book’s design. 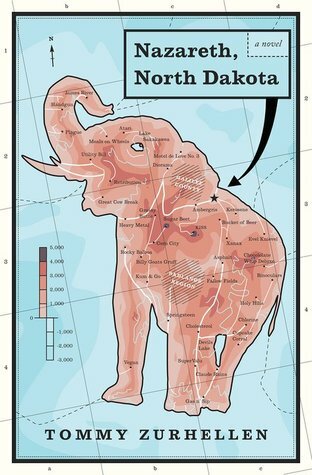 I was reading Scorch Atlas while waiting for a haircut one morning, and three people interrupted me to ask what I was reading — mainly, they said, because the book looked interesting. Tall, narrow, and blackened, the volume looks like something salvaged from an actual disaster, the last record of a fallen world. Needless to say, this appearance perfectly reflects the contents of the book, for each story reads like a testimonial bearing witness to the final days of humanity. Gripping, haunting, moving, and, in places, disturbing, Scorch Atlas is most definitely not a testament to human resilience and our strength to endure. Rather, it reads more like a dire warning from the future, a cautionary missive from those who’ve experienced first-hand the hell we’re creating and would do anything to change it. The only real question is whether anyone will listen. 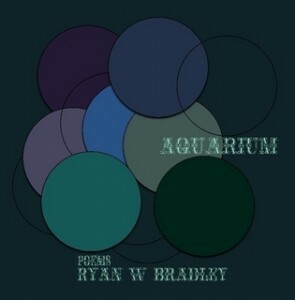 Aquarium, to me, is Bradley’s poetic introduction to the world, and I look forward to many more years of his releases. Check out his other chapbook titled “There Will Always Be a Better,” a group of poems that touch on the burdens of being unemployed in an economy like today’s. Editor’s Note: Special thanks to Lavinia Ludlow for this review! Lavinia is the author of alt.punk, which, as I may have mentioned in an earlier post, has all the makings of an underground cult classic. Buy it!